You in for a unique cupcake experience? 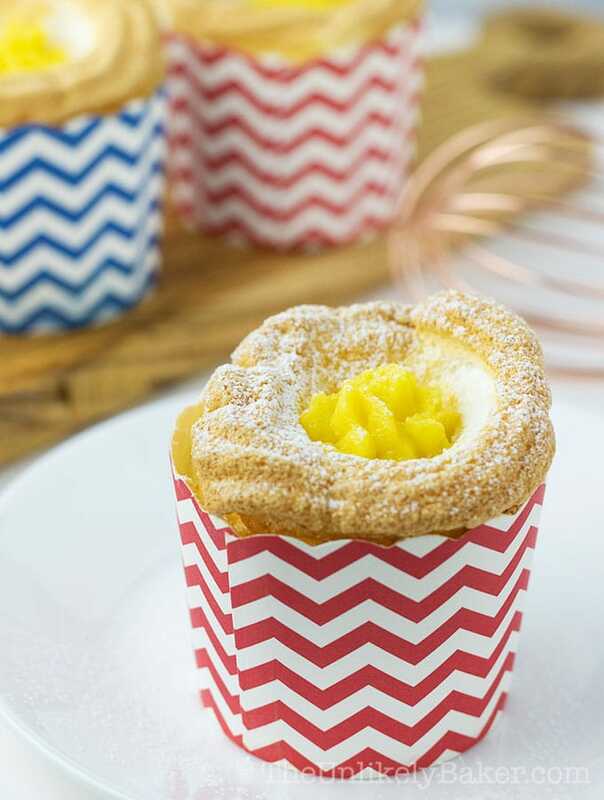 Try Brazo de Mercedes cupcake – soft as cotton meringue filled with rich decadent custard and finished off with a sprinkling of confectioner’s sugar. You’ll love it! My blog is 3 months old today. I don’t know if that’s a milestone in the blogging world but I will celebrate nonetheless. Three months, 18 recipes (19 if you include today’s), countless hours in the kitchen, frosting in my hair, flour on my face – it’s been fun (more work than I expected, but fun). So thought I’d go back to the beginning and re-make the cake that started it all…but make it easier and funner to do, and even funner to eat. I got a lot of comments from you guys about Brazo de Mercedes. Most of you haven’t heard of it but were raring to try. Which is awesome – love it when people give Filipino cuisine a shot. It’s so unique and delicious! If the meringue rolling is what’s stopping you from making it though, this cupcake version is a great alternative. You just pipe the meringue into a cupcake cup. Then pipe the custard into the meringue. And off you go. The meringue will initially rise then deflate so keep in mind that whatever you pipe on is what you’ll more or less get. So if you want a massive soufflé-like brazo, pipe it high (not too high that it will topple over though). You’d want to leave a slight gap in the middle where the custard can be piped into later. You don’t want to poke too large a hole in the meringue as it will deflate it further. So pipe the meringue in a circular, upward motion leaving space in the centre for the custard (check out the video). Speaking of custard, be careful not to overcook it. You want it thick but still spreadable. 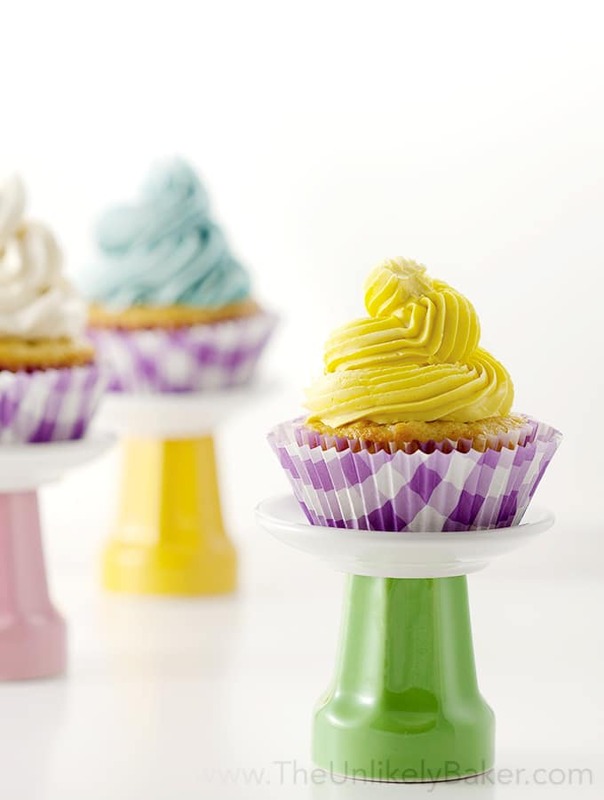 Remember that you need to be able to easily pipe it into each cupcake and that it thickens further as it cools. I usually stop cooking once I reach the consistency of jam. 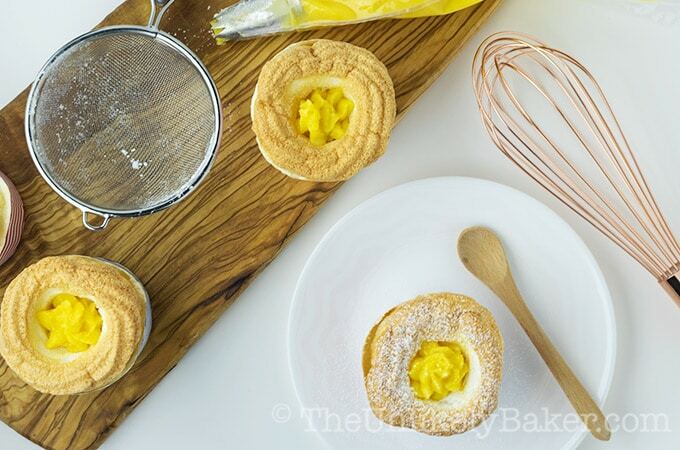 Brazo de Mercedes is usually baked flat on a cookie sheet but since you’re piping these, the tops of your cupcakes might brown before the insides are cooked. I’d suggest baking them 1 rack below your middle oven rack (but not the bottom rack – if your oven only has 3 levels, then the middle rack is still your best option). too, it will just take a little longer. I’ve tried making meringue by hand and honestly, I don’t recommend it. My arm was sore and my eggs weren’t even close to done. Not fun.
. I like to pipe my meringue into the cupcake cups because I find it easier that way. It also gives me a lot of control. 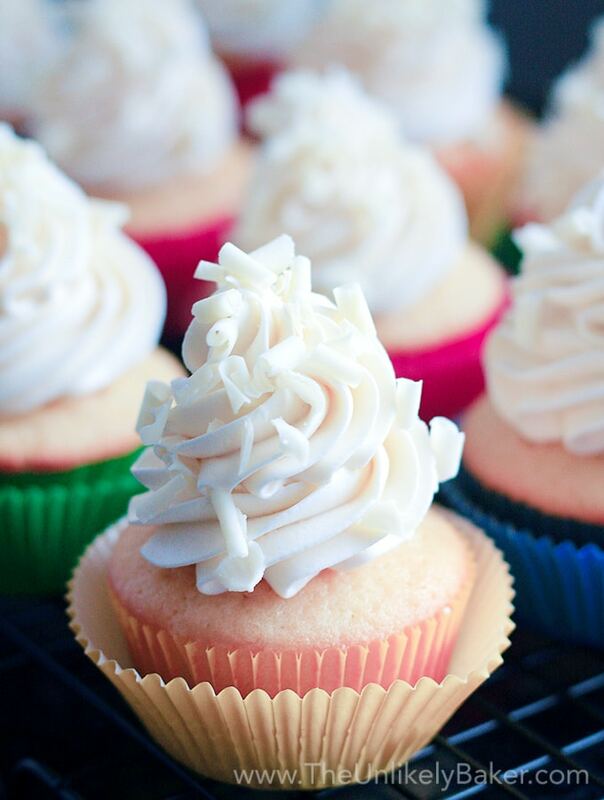 If you don’t own piping bags, no worries. Just take a Ziploc bag and cut off one corner. DIY piping bag! A lot of bakers are afraid of making meringue. Personally, I fail 10% of the time too! It’s just one of those things that take time and lots of practice to master. Make sure your egg whites are room temperature. They whip better and are more stable. It’s easier to separate the yolks from the whites when the eggs are cold though so what I do is separate the yolks and whites right when I take the eggs out of the fridge, place the whites in a bowl and leave them on the counter for about 30 minutes to bring them to room temperature. Grease is your enemy. You need to make sure that your bowl and whisk are dry, clean and oil-free. So it’s better to use glass, stainless steel, or ceramic bowls because plastic has a tendency to hide traces of oil in it. Add sugar gradually. 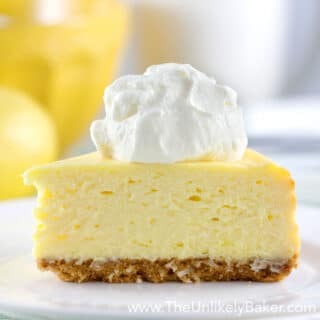 It takes a lot of restraint to only add a teaspoon of sugar at a time when you have a cup of sugar to add but this really makes all the difference. You want the sugar to dissolve into your meringue properly. Try not to make meringue on a very humid day. 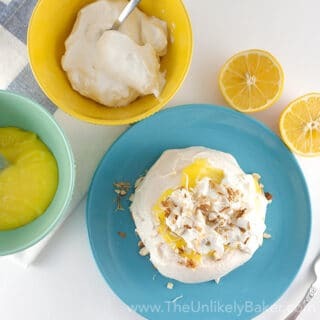 Meringue has a tendency to absorb moisture so if it’s humid or rainy, your meringue has a bigger chance of falling apart. Now that you’re a meringue and Brazo de Mercedes ninja, it’s time to enjoy the fruit of your labours! Unwrap it, plop it onto a plate and eat it like cake or scoop it out of the cup with a spoon like soup. 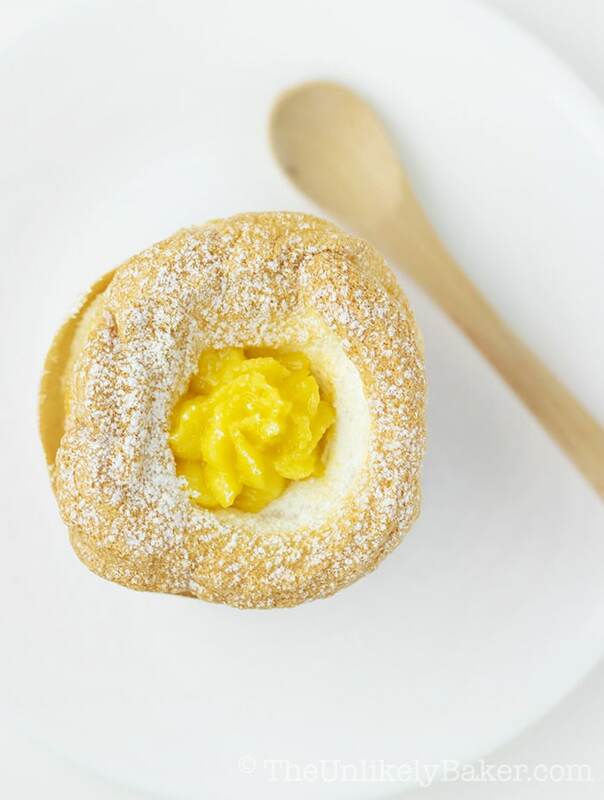 Regardless of how you decide to devour your Brazo de Mercedes cupcake, it’s sure to be one delicious bite. 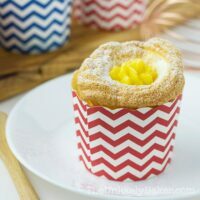 Brazo de Mercedes cupcake - soft as cotton meringue filled with rich decadent custard and finished off with a sprinkling of confectioner’s sugar. Pre-heat oven to 350F. Place 15 cupcake cups (see note) on a baking pan, evenly spaced about 1-2 inches apart. No need to grease the cups or the pan. Set aside. 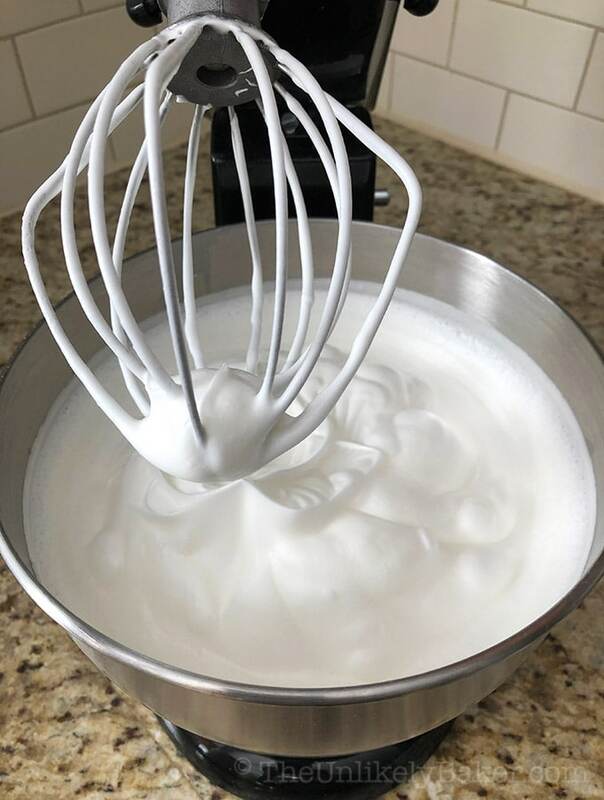 Using a stand mixer fitted with the whisk attachment or a handheld electric mixer, whisk the 10 egg whites on medium speed until foamy. Add 1/2 teaspoon cream of tartar and continue whisking until soft peaks form. 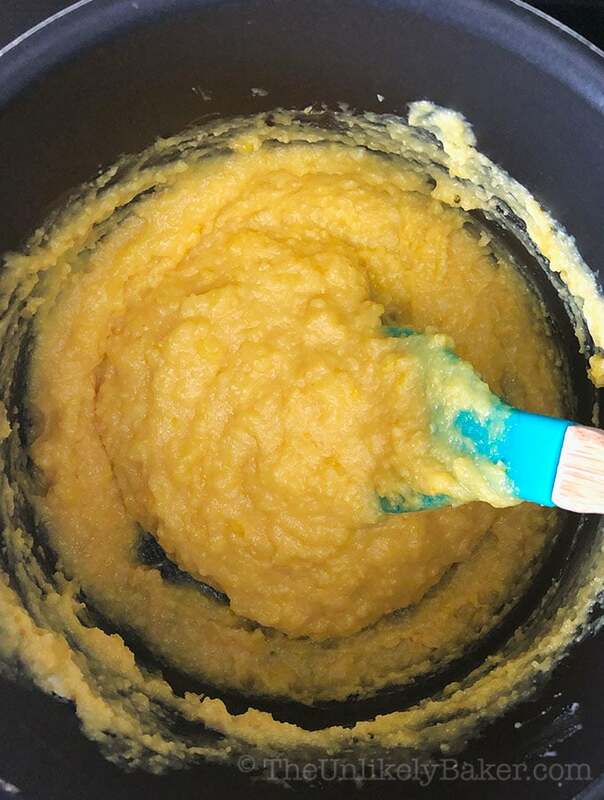 Gradually (slowly and in small quantities at a time - do not dump all the sugar in) add the 3/4 cup sugar and whisk until you reach stiff peaks. Once the meringue is ready, transfer it to a piping bag fitted with a large star tip (you can also use a large Ziploc bag with one of the corners cut off). Using a circular, upward motion (see video), pipe the meringue into the cups (overflowing by about an inch on top). Remember to leave a slight gap in the middle where you can fill the custard later. Place the cookie sheet with your cupcakes into your pre-heated oven and bake for about 20-25 minutes or until the tops turn light brown (see note). Take out of the oven and allow to cool slightly before piping the custard filling (instructions below). 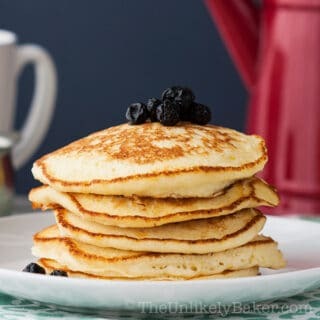 Finish by sprinkling with confectioner's sugar. Mix them thoroughly then start cooking over low heat. Stir often so you don't end up with scrambled eggs. When you see that your mixture is starting to take shape and form into clumps, add the 1 teaspoon of vanilla and the 1 teaspoon of lime juice. When you’ve reached custard consistency (thick but still spreadable), turn off the stove, remove pan from heat and set aside until you're ready to pipe the custard into your cupcakes. 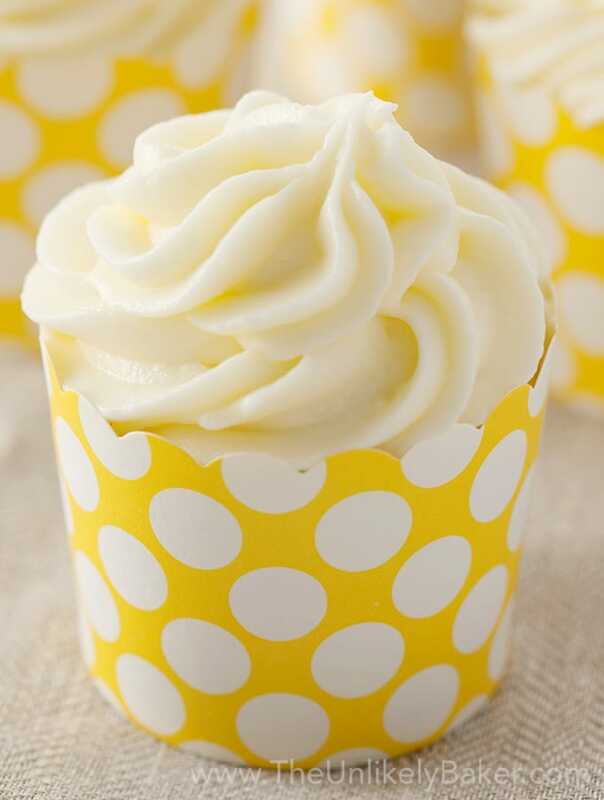 Depending on how much meringue you put into your cups, you may need more (or less) than 15 standard size cupcake cups. Every oven is different so I'd suggest you check at the 20-minute mark (not earlier, you don't want to mess with your oven's temperature too much too soon). Take a cupcake and check if the insides are cooked. If it still appears soupy, adjust the time accordingly. My cupcakes are cooked right at 22 minutes. 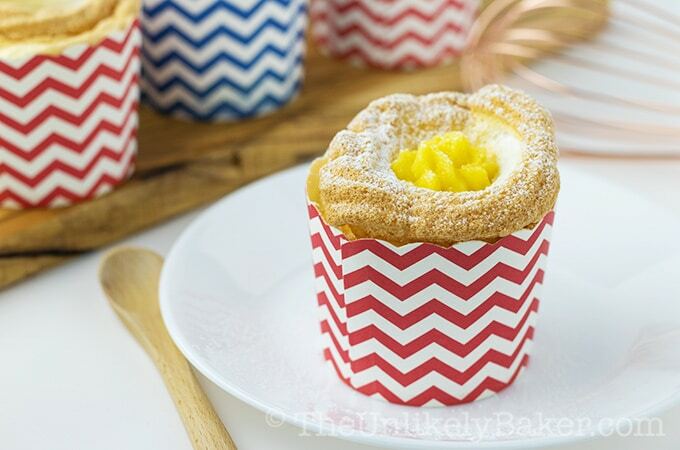 Did you make Brazo de Mercedes cupcakes? I’d love to hear from you in the comments section below. The cupcakes not only look like they’re fun to make but also fun to eat. Love the idea of a filling. No dry crumbly cupcake. You get part of that filling with every bite. Not like eating the frosting off of the top and then all you have left is the cupcake. This is a great recipe. I have never tried or heard of this before. I am so fascinated. I do love meringue so this would be such a treat. I gotta try soon. I have never heard of this dessert before but it looks wonderful! I love all your tips and tricks. Thanks also for telling up what tip size you used. I need a big piping tip and that looks like the one I should buy. Great post! Well these sure look like a fun and delicious treat. I love biting into pastry to find a nice surprise in the middle. 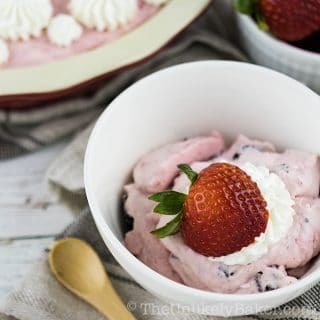 What a great dessert to take to a party. This looks really good but am I just missing it? What is the oven temperature supposed to be? Hi Simonette! I’ve linked the recipe for brazo de mercedes in this recipe because that has all the details of how to prepare the meringue. I will update this recipe soon so that all the details are here as well. To answer you question, the temperature is 350F. I have to try this! I have been craving brazo de mercedez for days now! They are so cute in cupcake form! Hi Sanna! I find they are much easier to handle in cupcake form too. Would love to hear how it goes! Is it really lime and not lemon? How stunning are these!! You definitely need a steady hand to make them! OMG yes. The kitchen was a mess when I made these. Haha. Thanks Gigi! Happy 3 Month Anniversary Jolina!! What a beautiful blog you’ve created in 3 short months. I can’t decide which recipe to try first! These look so pretty! I’ve never heard of them but I’d like to try them. Hi Marisa! I’ve set a goal of trying out at least 1 new recipe every week and although it’s driving me insane it’s also been fun 🙂 Thanks for stopping by! Congrats on your three month anniversary! I’ve never had these before, but they look absolutely divine!! Pinning this one. Have a lovely weekend, girl! Thanks Dawn! Not a lot of people has but it’s really delicious (if I say so myself haha). Do let me know how it goes if you decide to try 🙂 Have a wonderful week! These look awesome! 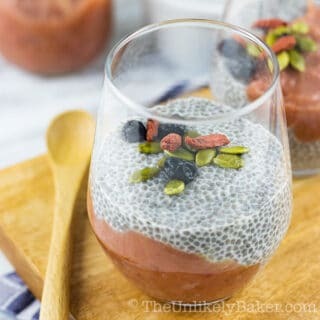 I love trying new desserts, and these sound so interesting and unique! I am a big fan of custard, so yum!! I like trying out different kinds of desserts too. If you love rich, decadent custard you will love these 🙂 Thanks Justine! I love the look of these – like little, delicious funnel cakes, but with custard! Mmmm. They are really quite tasty 🙂 Thanks Robin! Yay! Congrats going this far, it’s a hectic journey, blogging is fun but it’s a full time job. I never heard about these cupcakes before and I happy I did, you really do learn something new everyday. They looked so fluffy and I love the creamy center. YUM! Oh yeah. It’s full time job indeed! Hope you decide to try these cupcakes 🙂 Thanks for stopping by Nakida! Oh I would love to try these but I’m not mine would look as dainty and perfect as these! Thanks for stopping by Jolina. Congratulations on the milestone. It is definitely time to celebrate these achievements. I am not a good baker and most of my experiments are not very successful so i can imagine how much hard work you must be putting me. Keep it up and here is wishing you many more milestones to come. BTW, love the template. Thanks for the kind words Anvita! If you only knew how many failed experiments I’ve had (still have). Unlike you I cannot cook so I will stick to baking 🙂 Wish you all the best as well! Happy 3 months! 🙂 These look absolutely delicious! Congrats on the blog birthday! You are doing great! I also have never heard of these kind of cupcakes, I need to try them! I’ve never heard of this type of cupcake, but these are BEAUTIFUL! And congrats on your blogaversary! Jolina these are stunning! I’ve never heard of this dessert before, but it sounds so different and delicious. I’ll have to give them a try! Happy three month birthday BTW – definitely a milestone. My six month blog birthday is coming up and I’m practically planning a party, haha. Turns out blogging is more work than I realized – but so much fun too! And a great excuse to always be planning my next cake. Hi Liz! Thank you! Woohoo for 6 months! It is a lot of work, isn’t it? Some days I’m so exhausted from my day job then I have to do blog stuff. But yes, cake makes it all better 🙂 Can’t wait to see what you come up with! What a unique idea! They’re beautiful too! I’m definitely going to give this one a shot! these look so good – i’ll be thinking about desserts all day now. happy 3 months! 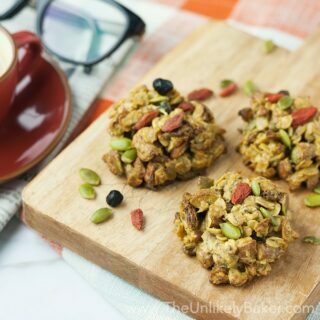 Wow, those look absolutely delicious! I still can’t get over how fluffy these look! Really gorgeous!! Those look amazing! I hope they were as delicious as they look, great photography. Happy 3rd month blogging! Love your work !